In this study the protection ability of polyamines on Photosystem II (PSII), the proline content of the cells and necrosis formation induced by Ultraviolet-A irradiation were studied. Although 24 h Ultraviolet-A exposure decreased the photosynthetic quantum yield (Fv/Fm) ratio in Physcia semipinnata (J. F. Gmel.) Moberg, thalli that treated with 1 mM polyamine, especially spermidine and spermine, were slightly influenced by the UV-A exposure. It was also found that spd and spm treated samples had lower proline content than putrescine (put)-treated samples. Moreover, It was found that the samples that were treated with spd and spm had lower percentage of DNA damage than put-treated samples and non-treated groups. In this study, Ultraviolet-A induced DNA damage detected by acridine orange/ethidium bromide staining assay. The DNA damage in thalli of P. semipinnata was detected in situ in phycobiont layer after 24 h of Ultraviolet-A exposure, in contrast, polyamine-treated samples had a lower rate of necrotic cells. 1. Strid, AW, Chow, WS, Anderson, JM, UV-B damage and protection at the molecular level in plants, Photosynthesis Research, 1994, 39, 475-489. 2. Riegger, L, Robinson, D, Photoinduction of UV-absorbing compounds in Antarctic diatoms and Phaeocystis antartica. Marine Ecology Progress Series, 1997 160, 13-25. 3. Bouchereau, A, Aziz, A, Larher, F, Martin-Tanguy, J, Polyamines and environmental challenges, recent development, Plant Science, 1999 140, 103–125. 4. Kramer, GF, Norman, HA, Krizek, DT, Mirecki, RM, Influence of UV-B radiation on polyamines, lipid peroxidation and membrane lipids in cucumber, Phytochemistry, 1991, 30, 2101–2108. 5. Kotzabasis, K, Fotinou, C, Roubelakis-Angelakis, KA, Ghanotakis, D, Polyamines in the photosynthetic apparatus, Photosystem II highly resolved subcomplexes are enriched in spermine, Photosynthesis Research, 1993, 38, 83–88. 6. Bates, LS, Waldren, RP, Tear, ID, Rapid determination of free proline for water-stress studies, Plant Soil, 1973, 39, 205–207. 7. Unal, D, Tuney, I, Sukatar, A, The role of external polyamines on photosynthetic responses, lipid peroxidation, protein and chlorophyll a content under the UV-A (352 nm) stress in Physcia semipinnata, Journal of Photochemistry and Photobiology B, 2008, 90, 64-68. 8. Lütz, C, Navakoudis, E, Seidlitz, HK, Kotzabasis, K, Simulated solar irradiation with enhanced UV-B adjust plastid-and thylakoid-associated polyamine changes for UV-B protection, Biochimica et Biophysica Acta-Bioenergetics, 2005, 1710, 24-33. 9. 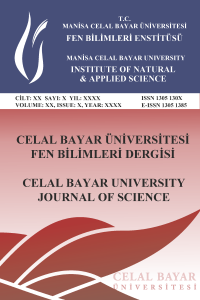 Demir, Y, Growth and proline content of germinating wheat genotypes under ultraviolet light, Turkish Journal of Botany, 2000, 24, 67-70. 10. Alia, P, Mohanty, P, Matysik, J, Effect of proline on the production of singlet oxygen, Amino Acids, 2001, 21, 195-200. 11. Smirnoff, N, Cumbes, QJ, Hydroxyl radical scavenging activity of compatible solute, Phytochemistry, 1989, 28, 1057–1060. 12. Wang, X, Shi, G, Xu, Q, Hu, J, Exogenous polyamines enhance copper tolerance of Nymphoides peltatum, Journal of Plant Physiology, 2007, 164, 1062-70. 13. Duan, JJ, Li, J, Guo, SR, Kang, YY, Exogenous Spermidine affects polyamine metabolism in salinity-stressed Cucumis sativus roots and enhances short-term salinity tolerance, Journal of Plant Physiology, 2008, 165, 1620-35. 14. Aziz, A, Martin-Tanguy, J, Larher, F, Stress-induced changes in polyamine and tyramine levels can regulate proline accumulation in tomato leaf discs treated with sodiumchloride, Physiologia Plantarum, 1998, 104, 195-202. 15. Tanou, G, Ziogas, V, Belghazi, M, Christou, A, Filippou, P, Job, D, Fotopoulos, V, Molassiotis, A, Polyamines reprogram oxidative and nitrosative status and the proteome of citrus plants exposed to salinity stress, Plant Cell and Environment, 2014, 37,864-885. 16. Kumar, SG, Mattareddy, A, Sudhakar, C, NaCl effects on proline metabolism in two high yielding genotypes of mulberry (Marus alba L.) with contrasting salt tolerance, Plant Science, 2003, 165, 1245-1251. 17. Hoerter, ID, Arnold, AA, Kuczynska, DA, Shibuya, A, Ward, CS, Sauer, MG, Effects of sublethal UVA irradiation on activity levels of oxidative defense enzymes and protein oxidation in Escherichia coli, Journal of Journal of Photochemistry and Photobiology B, 2005, 81, 171–180. 18. Unal, D, Tuney, I, Esiz-Dereboylu, A, Sukatar, A, The effect of UV-A (352 nm) stress on chlorophyll fluorescence, chlorophyll a content, thickness of upper cortex and determinate DNA damage in Physcia semipinnata, Photochemistry and Photobiology, 2009, 94, 71-76. 19. Oh, TJ, Kim, IG, Polyamines protect against DNA strand breaks and aid cell survival against irradiation in Escherichia coli, Biotechnology Techniques, 1998, 12, 755–758. 20. Solheim, B, Zielke, M, Bjerke, JW, Rozema, J, Effects of enhanced UV-B radiation on nitrogen fixation in arctic ecosystems, Plant Ecol, 2006, 182, 109-118.